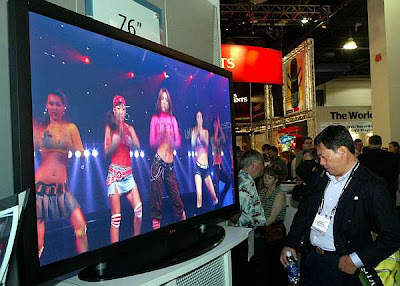 Australia is planning to ban plasma television and LCD sets. Aussie government is in the move to pass a law and if this law relating to technology gets approved. ALL LCD and PLASMA screens would be banned from Australia. The law which advocates proposed energy-efficiency rating system is the major threat for Aussie dealers dealing with these screens. According to one survey, Aussie citizens are demanding more and more LCD and Plasma screens as compare to conventional aging CRT screens. This is the main reason which could cause acute energy shortage and to prevent that, this step is taken. It's not me, it's Aussie government saying that way. They also are stating that these newer,bigger and slimmer screens are consuming more electricity juice that old CRTs. Now, i don't know how is this possible. I'm always made known and i read myself too that LCD are more power efficient that CRT. Whatever it's, it is their business and moreover Aussie Government wants LCD manufacturer to develop a technology into slimmer screen which would consume less power. NOW, it seems, Australia is fully prepared to ban PLASMA screens by the end of 2011 or may be they may not. But who knows, i've been seeing Australia as one country imposing so many restrictions on technology,after CHINA. Few years ago,they banned a game called MAN HUNT after a kid murdered his fellow friend just like the way, a player did in a game. It's like 'a kid in Nepal sacrificed his brother just like a goat is sacrificed during Dashain festival'. Now, would they ban GOAT? geeez.. no way.. !! !